Here at ForexReversal.com, we specifically designed something to help currency traders seek out useful trend reversals and retraces, either before they occur or just as they begin. For those of you who have been trading the foreign exchange markets for a while, you may very well have tested a variety of methods in order to catch tops and bottoms; often these systems will advise you to follow a certain candlestick pattern based on pure price action, or a piece of technical analysis, such as using Support and Resistance, or Fibonacci retracements. However, with the addition of too many tools, sometimes traders end up with rather cluttered charts which can make things confusing. 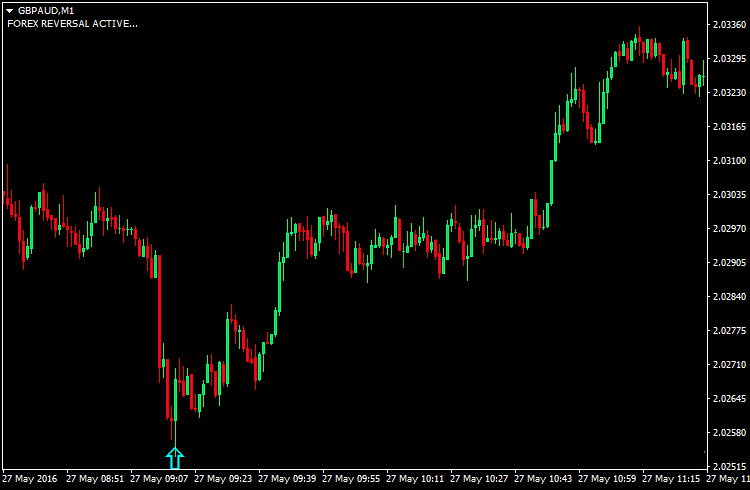 We want to do things differently, by developing what we feel is the best forex indicator around in its class. Essentially, the aim is: not necessarily to replace what a trader currently uses, but rather to present to the trader, a a forex indicator which offers buy and sell arrows on their currency chart, to seek out trend changes, without the need to over complicate by having lots of different tools and indicators on so many charts. A huge amount of time and effort has gone into developing our currency trading software, resulting in what we present before you. 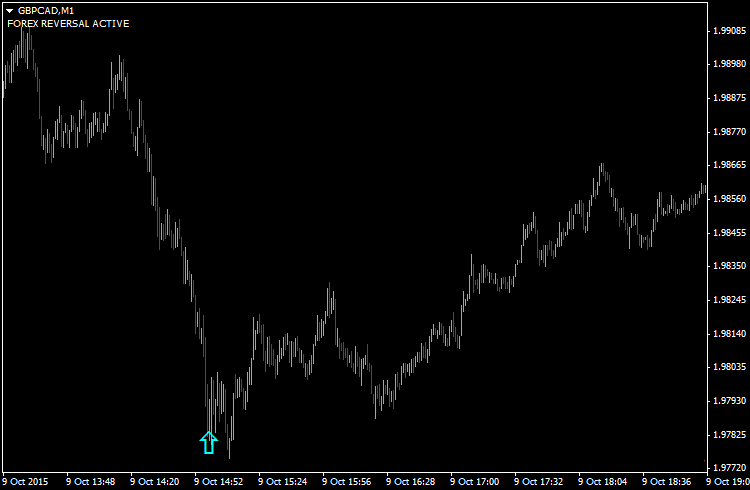 This is due to the combination of a number of classic trend exhaustion patterns, in addition to our own proprietary methods. Our stringent algorithm means we've sacrificed the number of alerts, for the sake of accuracy. Consequently, you won't be inundated with lots of false signals every day. Our algorithm means that it will only provide an alert until all the strict conditions are met, thereby giving an average of one signal a week (on the M1 timeframe). 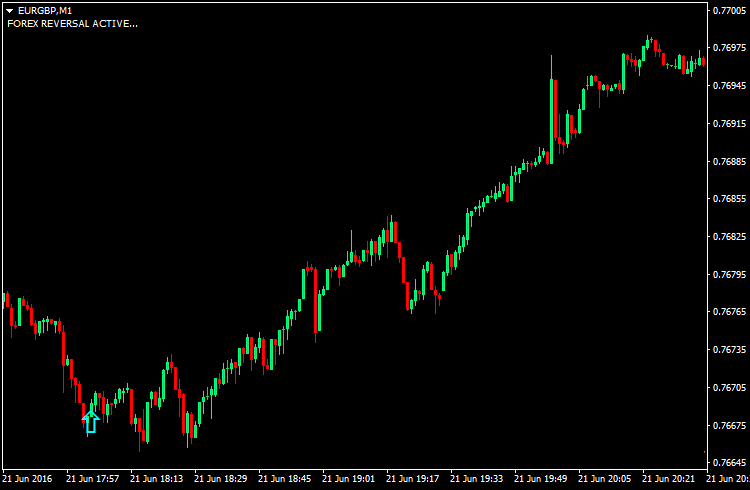 Every trader knows the saying, "The trend is your friend." To us, that just doesn't suffice, and we expand upon that... so remember "the trend is your friend - until the bend!" 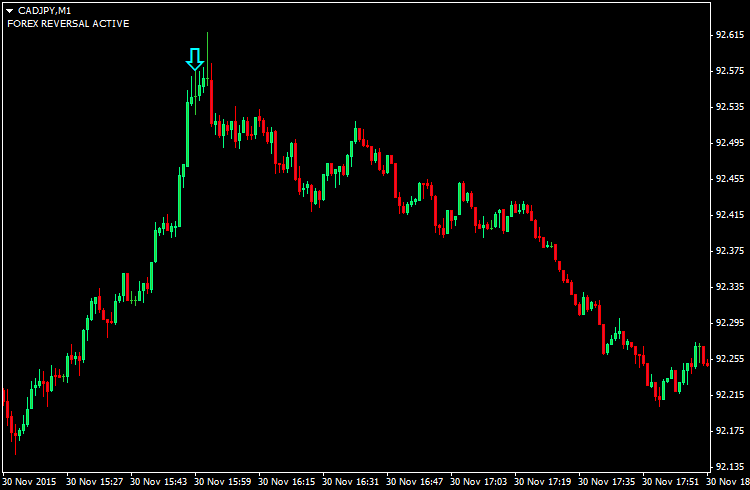 Essentially, we seek to jump upon this saying with high precision, for 28 forex pairs. 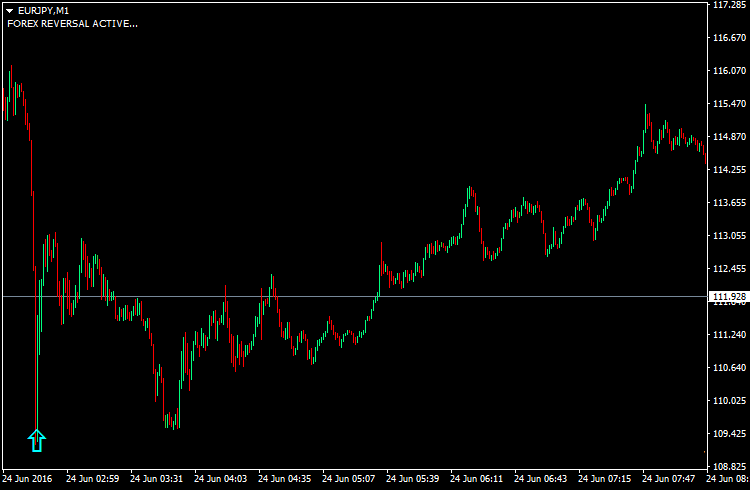 Namely the EURUSD, USDCHF, GBPUSD, USDJPY, EURJPY, EURAUD, CADJPY, NZDUSD, AUDNZD, AUDJPY, NZDJPY, GBPJPY, USDCAD, AUDUSD, EURGBP, EURCHF, GBPCHF, GBPAUD, EURCAD, CHFJPY, AUDCAD, EURNZD, NZDCHF, NZDCAD, AUDCHF, GBPCAD, CADCHF, GBPNZD, for the M1 timeframe. Isn't it annoying to have to attach an indicator to every single chart in order to receive the alerts? Well, that's not a problem with ours. 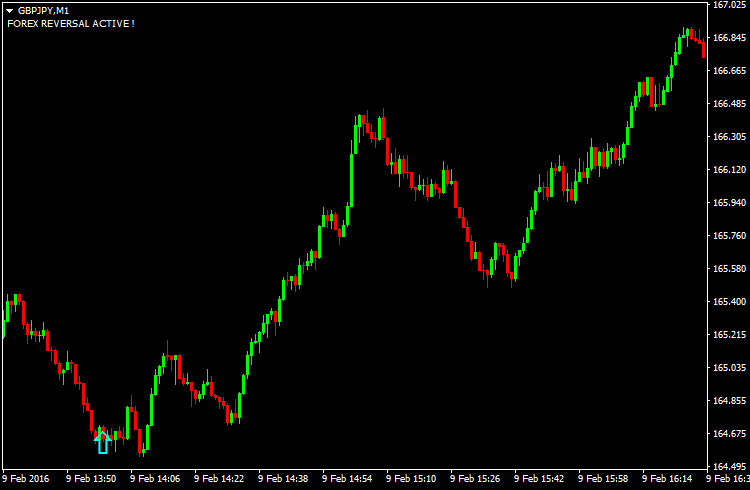 The new "Global Alerts" function allows you to receive EVERY alert by just attaching the indicator to ANY chart! This essentially means, for example, lets say you have it attached to just the USD/JPY chart, then if a signal is generated on EUR/USD, it means your USD/JPY chart will alert you to the fact that EUR/USD has generated this signal. 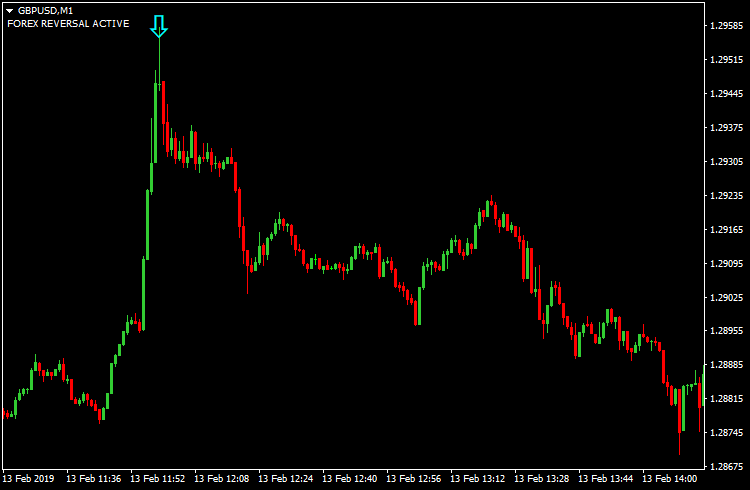 Then you can simply switch charts to see the actual arrow and trade in action! Bottom line, there's no need to have 28 or more charts open to receive alerts - 1 chart will provide you with every alert. In reality, there's no doubt there's great benefit in classic reversal methods and techniques whether it be the harmonics, (gartley / butterfly), or other wave theories like Elliot, Wolf and Hurst Cycles, or Andrew's Pitchfork, or trend line bounces, using support and resistance, double tops & bottoms, plus Fibonacci retracements / projections, not to mention using overbought / oversold Stochastic, CCI, RSI and many more! As you can imagine, things can get rather complicated. 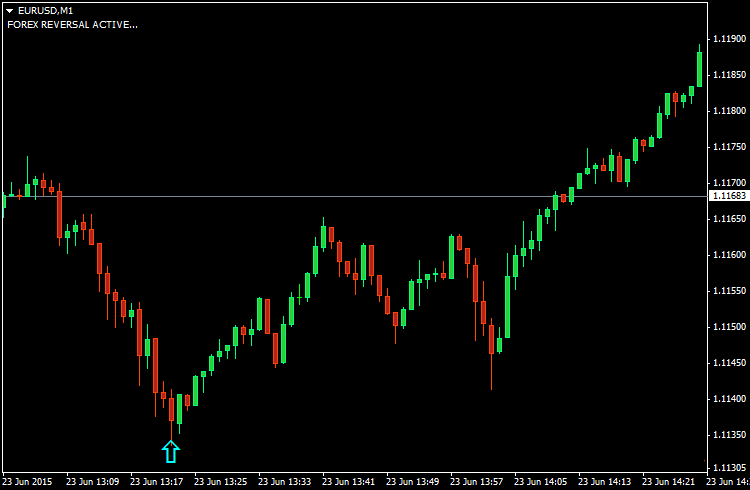 With most other systems, often a lot of discretion is involved, whatever type of trading you're involved in, e.g. 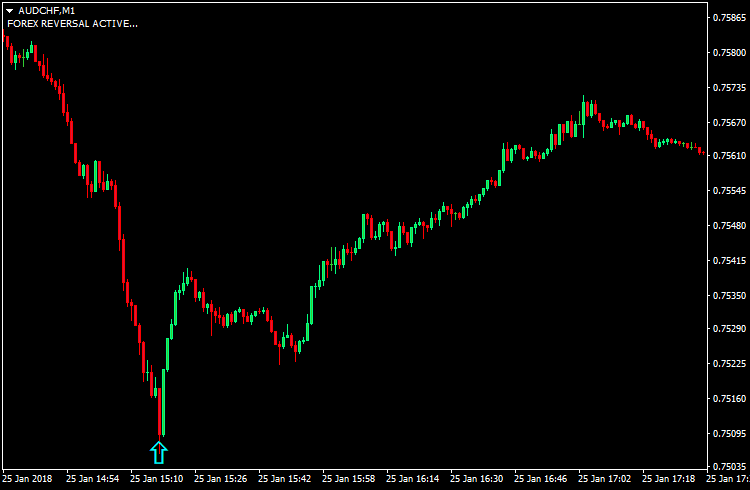 short term scalping or day trading, or longer term swing trading and position trading. However, we keep things as simple as possible. Remember, the majority of trading methods out there exist to assist in such an endeavour, for example, divergences, harmonics pattern recognitions, volume spread analysis, the good old moving average, MACD, etc... The truth is, many of these have time tested concepts, hence it would be a folly to totally ignore them. In fact, a combination of techniques is essentially what determines whether one has the threshold of confidence to enter a trade in the opposite direction, and it this that we had in mind when developing our product, i.e. amalgamating a number ideas into a complete custom package, with the aim of assisting traders in detecting trend changes, pullbacks and retracements. 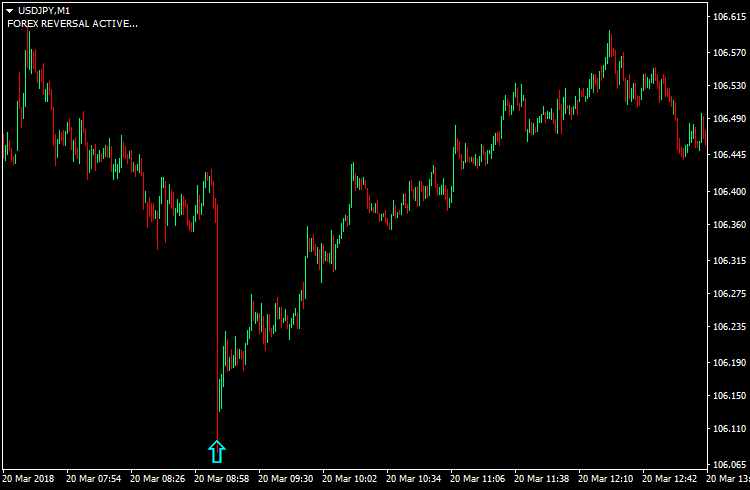 A lot of traders had expressed in earlier versions that they really wanted an integrated auto alert feature, whereby you are instantly alerted when a signal has been generated (e.g. if you're away from your MT4 platform / computer). 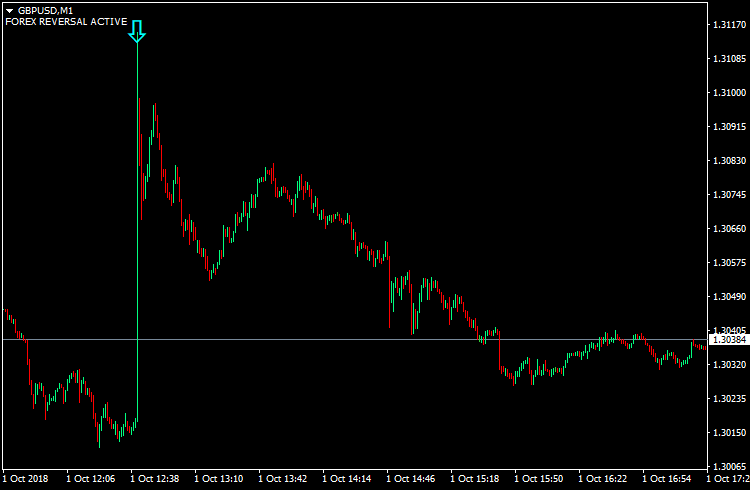 Well, this has now been implemented into our currency trading tool. So, you can be alerted via two ways: firstly via email, and secondly via "push notifications", which basically means if you have a smartphone such as an iPhone or an Android, you will be informed of any trades, virtually immediately. No longer do you have to sit and stare at charts all day. One major point needs to be addressed - the issue of repainting, since this can really cause problems for traders if indeed there is repainting. Hence, let us be absolutely clear, the buy and sell arrows produced do not repaint, whatsoever. 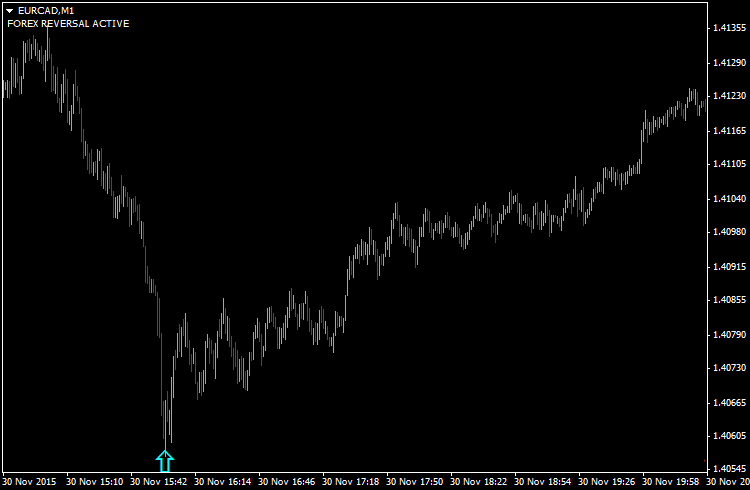 If you're not aware of what repainting is, it's a problem that quite a few arrow based MT4 indicators possess; specifically once a buy or sell signal is produced, the actual arrow may change location or completely disappear, which quite frankly makes it very tough to manually backtest and scroll through the charts, for example, to apply one's own technical analysis. So let us be extremely clear here - the arrows that you'll get on your chart will not repaint. Meaning, that once an arrow appears, then that arrow will always remain there. 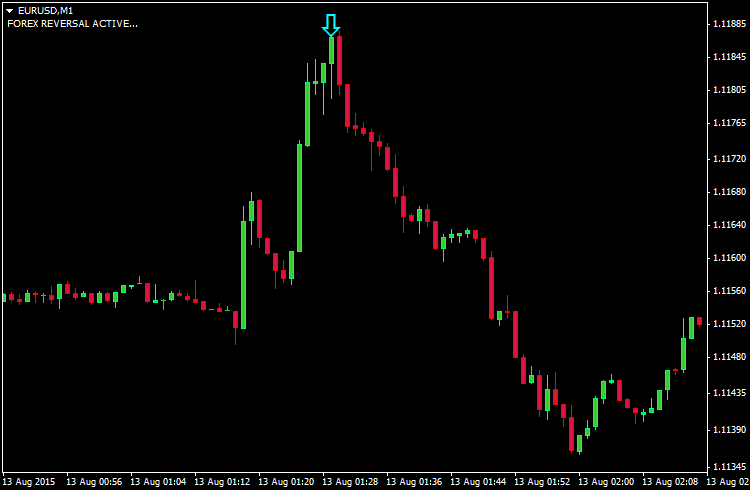 In addition, the signals do not lag - they appear at the close of the candle / opening of new candle. 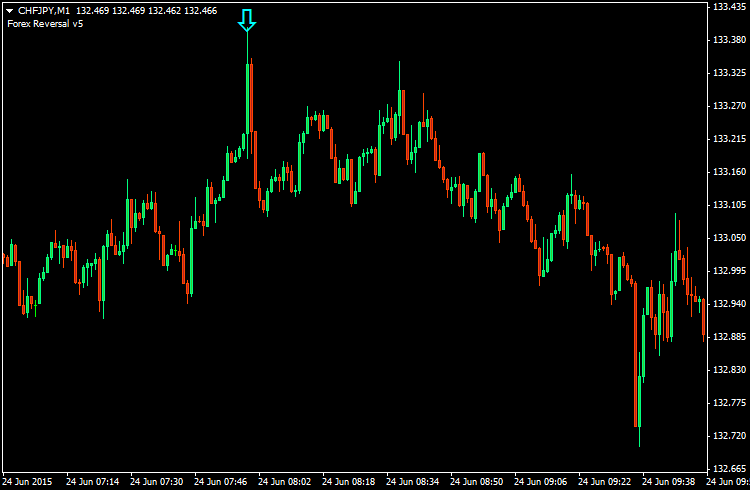 Some others softwares will actually display arrows 20 or 30 bars after the signal was meant to be entered, which defeats the purpose of trading that currency pair for which it was given. You can be assured that ours has none of these problems or issues. 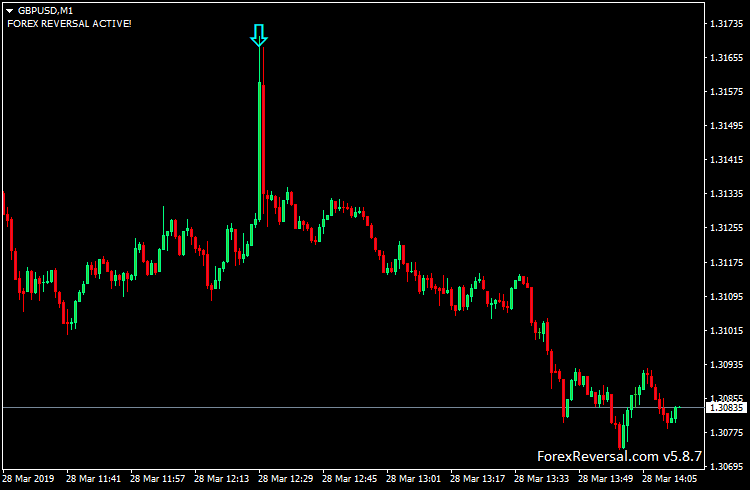 Will the Forex Reversal work on my broker? Absolutely, as long as you're running the Metatrader 4 Platform. Most Forex brokers support the platform, but even if yours doesn't, you can simply download MT4 and install it from any supported broker (in literally minutes), then load our indicator on there, thereby giving you the signals. Can I receive alerts on my iPhone or Android smartphone? Indeed! It supports Push Notifications to Google Android and Apple iOS based devices, including the iPhone, iPod Touch, and iPad tablet. How many signals will I get? 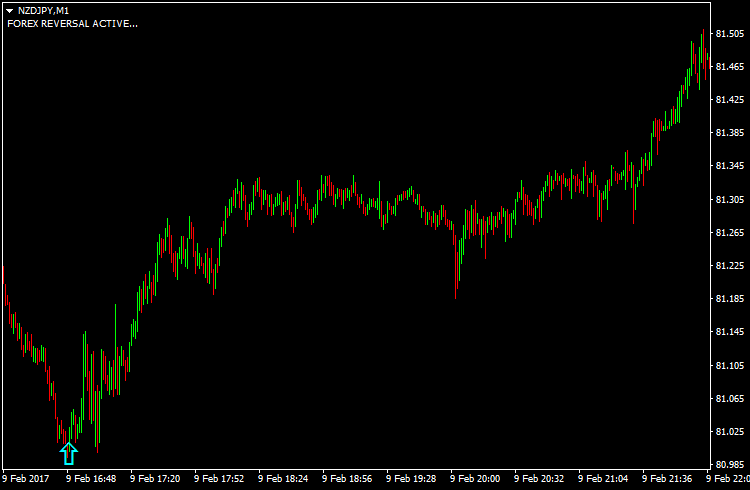 There's usually an average of one signal per week, on the M1 timeframe (in total, across 28 currency pairs). Whilst this might not seem like a lot, and whilst we can't guarantee the frequency of trades or when they'll appear, it's important to note that it is the quality of the signals that's the most important factor. (Some weeks might give more signals, other weeks might not give any). There are already lots of other indicators out there offering dozens of arrows a day, but they just end up with a lot of false signals. With the very strict criteria implemented, it means you receive extremely high probability alerts which is actually what is essential. Note that the signals can occur at any time. Patience is required, and this will be rewarded with powerful signals, to which you can apply your own technical analysis. Whilst it's hard to put an exact figure on this, to our knowledge, we feel ours is the best MT4 indicator out there for reversal trading in the foreign exchange market, (no matter whether comparing it with a free one, or premium / custom paid ones), providing the trader with entries which we believe no other for Metatrader 4 can match. The entries have been of consistent high quality, thereby allowing the trader to apply the exit method of their personal choice. Although naturally, we wouldn't recommend trading with major economic news releases. Remember - this is an indicator, not an EA (Expert Advisor or auto trading bot). Whilst we can't give away the proprietary algorithm designed privately and exclusively, we can inform you that we've combined a number of classical techniques plus our own unique twists and insights that make an excellent combination. Designed by the Forex Lasers team, having spent many years in analysing the currency markets, looking for potential opportune trend reversal trade setups. I have lots of different brokers, can I use this on all of them? Your license will work on ANY MT4 broker account of your choosing, (whether it be FXCM, Alpari, FXDD, IG, Oanda, FXPro, FXOpen, etc...). Additionally, if you wish to change broker / account number, you can do so at any time, not a problem. We do suggest that you use an ECN broker, over using a dealing desk broker, due to a number of reasons, such as low spreads & commissions, speed of execution, and better support. Even if you don't have an MT4 broker account, you can simply open one for free with any of them (even a demo account), and use that to receive alerts/arrows. 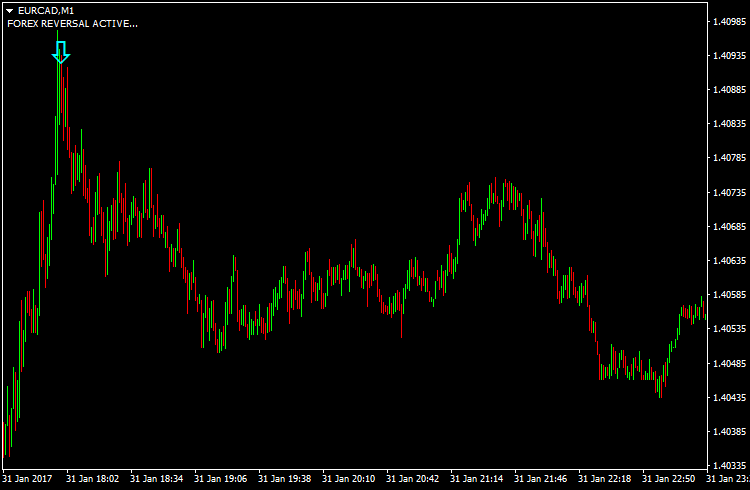 Exactly which currency pairs does it support? Specifically: EURUSD, USDCHF, GBPUSD, USDJPY, EURJPY, EURAUD, CADJPY, NZDUSD, AUDNZD, AUDJPY, NZDJPY, GBPJPY, USDCAD, AUDUSD, EURGBP, EURCHF, GBPCHF, GBPAUD, EURCAD, CHFJPY, AUDCAD, EURNZD, NZDCHF, NZDCAD, AUDCHF, GBPCAD, CADCHF, GBPNZD. Remember, this only works for Forex trading. 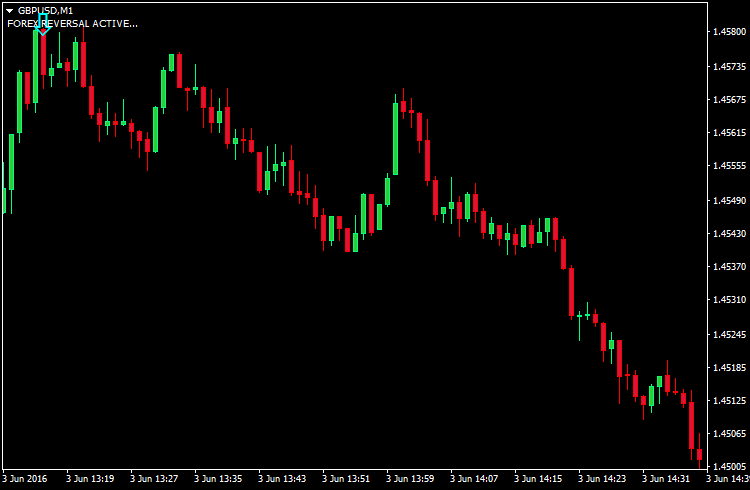 It's not designed for any other financial trading instruments, such as commodities, stock or shares. 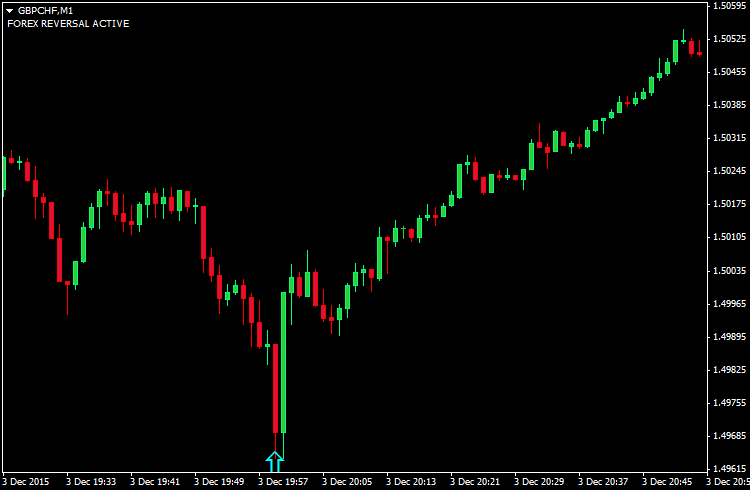 As mentioned above, we focus on the quality of signals, (rather than quantity), thus we're very confident that our product is the world's greatest arrow based reversal indicator for MT4. However, if, after 6 months of testing, you don't agree with us, and that there is a more accurate buy/sell arrow based reversal indicator out there for MT4 (on M1 timeframe), without repainting and lagging, then please show this to us, and we'll happily refund your money, thereby de-activating your license (as long as you claim within a year's time). How about any future updates? Any updates / bug fixes in the future shall be absolutely free to all our customers. Once our software is upgraded, you shall be notified within the application itself, with a link to the new update. It is imperative that you upgrade, since previous versions are not supported. LICENSE DETAILS: Each license is for one broker account. You can of course change brokers / account number, whenever you wish, simply let us know. 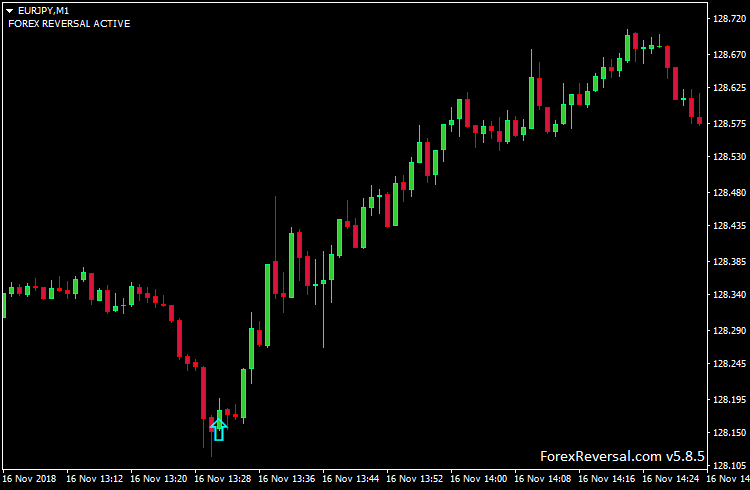 Years of hard work have gone into producing what we believe is the best arrow based forex indicator, which we are making available to the public for the first time; please don't jeopardize this for the rest by engaging in any cracking activities. Your copy of the software shall be emailed to you within a few hours after purchase, along with installation and registration instructions. SYSTEM REQUIREMENTS: The Forex Reversal is designed for Microsoft Windows platforms (XP, Vista, 7, 8, 10) and the Metatrader 4 charting package. It is preferable to have a 4GHz CPU which possesses at least six threads (also a minimum of 4GB of RAM). 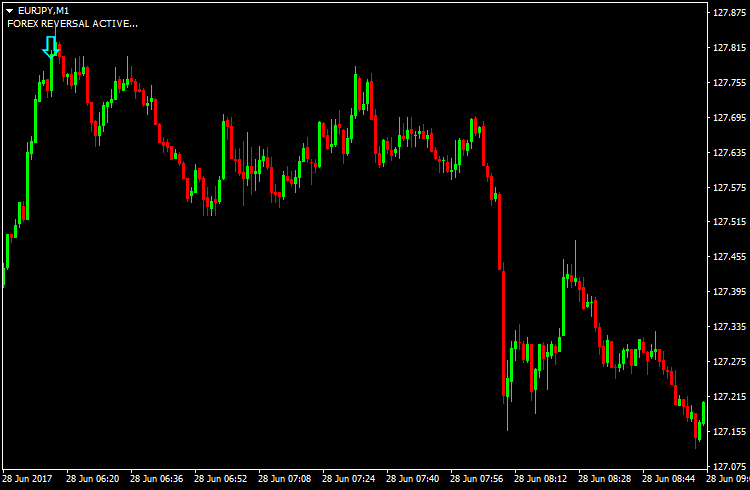 NOTE: Forex trading is difficult, and we make no claims that you'll become profitable using our product. It is a tool, use it as such. Past results are not a proof of future results. 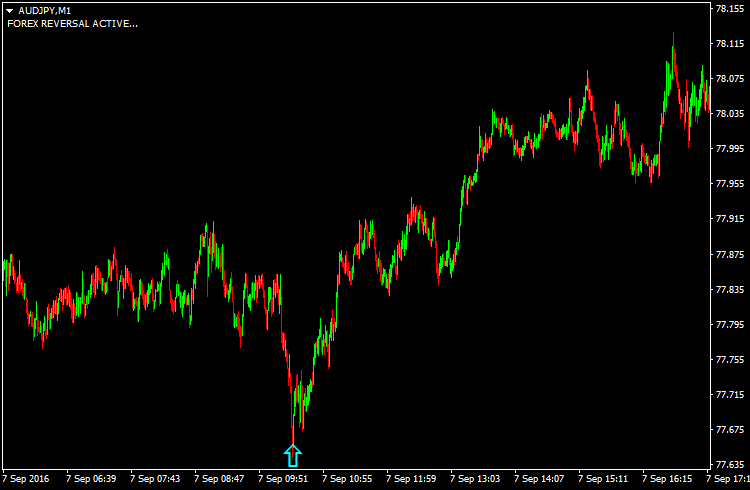 Note that it is designed only for the M1 timeframe. We also advise traders to demo with it for the first few months. SUPPORT: If you have any questions, please don't hesitate to ask: support@forexreversal.com. We aim to respond within 1 business day. 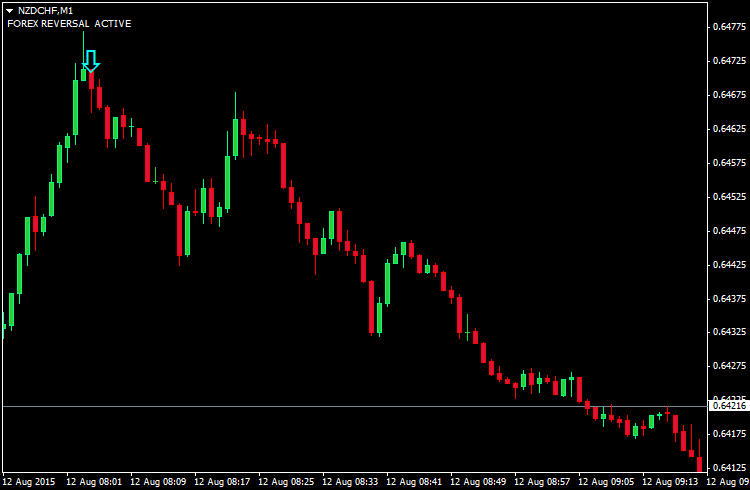 REFUND POLICY T&C: We believe our offering is the best reversal indicator available for the M1 timeframe. Frequency of trades depends on market conditions, but on average there is around 4 trades per month, based upon our testing over a period of over 36 months (although we can't guarantee the frequency/timing of trades of course). However, the accuracy has been consistent, and thus, if, after forward testing for at least six months (whether on demo or on live), you believe it doesn't match these claims across the 28 specified currency pairs, please provide us with a more accurate arrow based reversal indicator for MT4, on the M1 timeframe, and we will honour a complete refund, as long as you claim within a year's time. Whilst six months may seem like a long time to test, it's imperative, because as explained earlier, it does not produce many signals, so it will naturally take a longer time to be in a position to pass judgement.